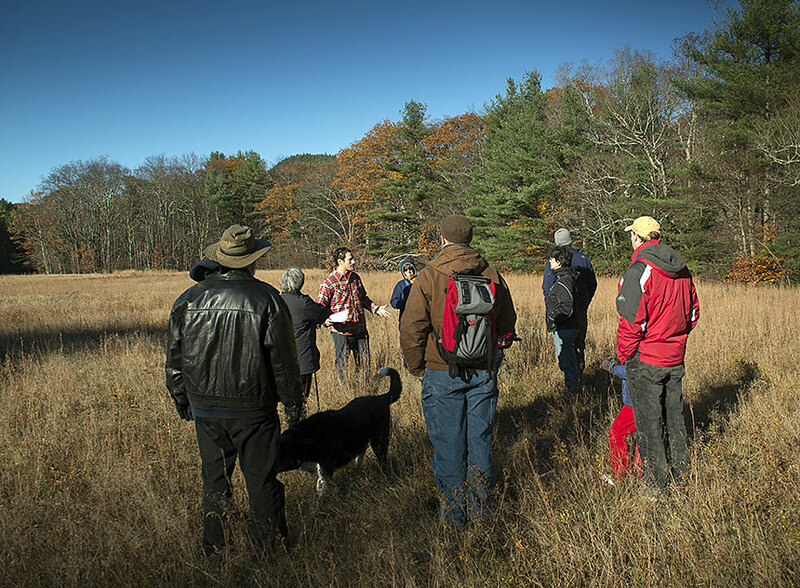 In early November, on the first really nippy day of autumn, Brian Yellen leads a small group down a gently sloping path in Mohawk Trail State Forest in Franklin County, in northwestern Massachusetts. Dried leaves from the large oaks and maples crunch under foot and visible breaths float on the cool air as they head toward the Deerfield River. 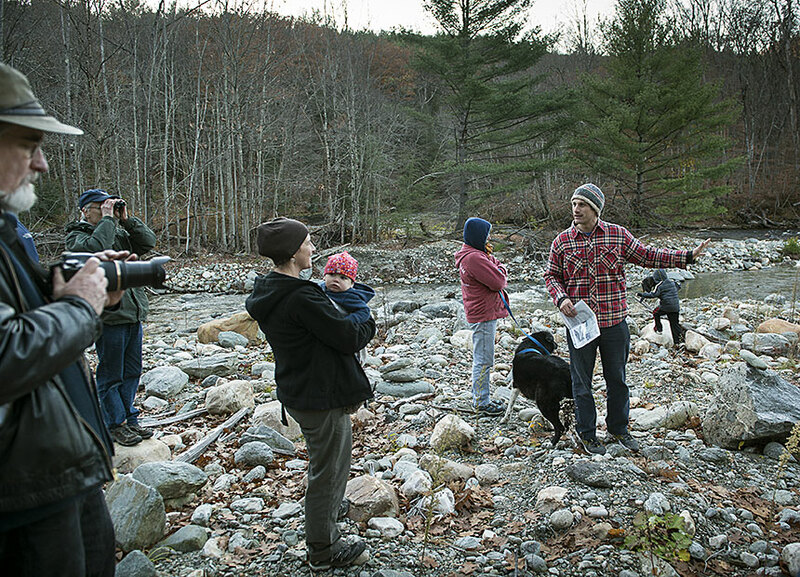 It's a diverse group of men and women representing expertise in geology, conservation, ecology, town government and regional planning (plus several kids and two dogs). 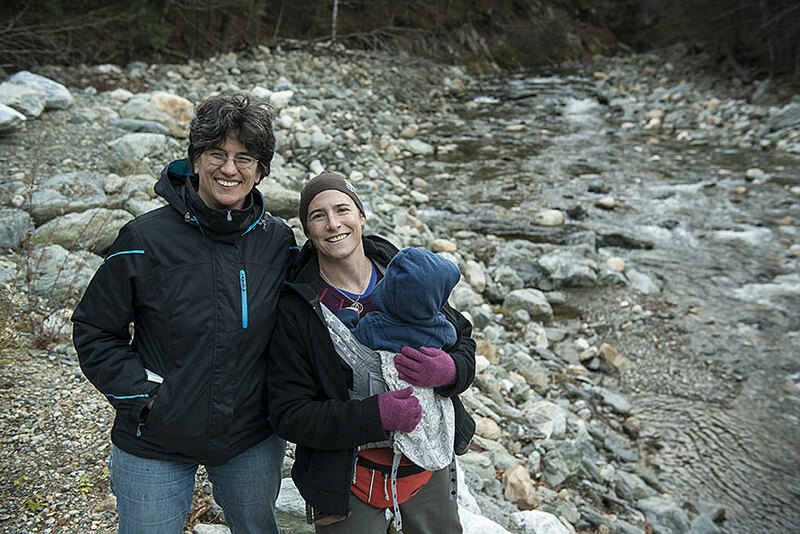 Yellen is the President of the Deerfield River Watershed Association and a doctoral candidate in geosciences at UMass Amherst. He studied the river basin for his master's thesis and probably knows the Deerfield as well as anyone. 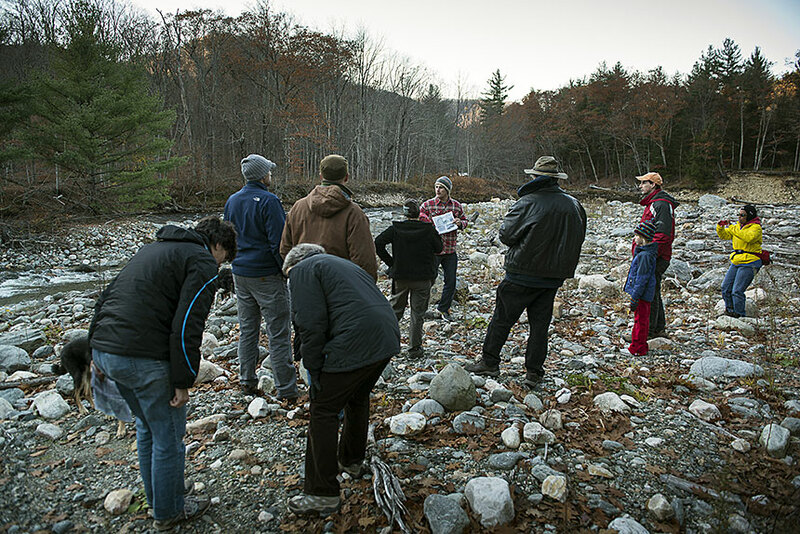 . . that's why he was asked to lead this educational river walk by Christine Hatch and Eve Vogel, two UMass faculty members, as a component of RiverSmart, a three-year integrated research and extension project funded by the University’s Center for Agriculture. 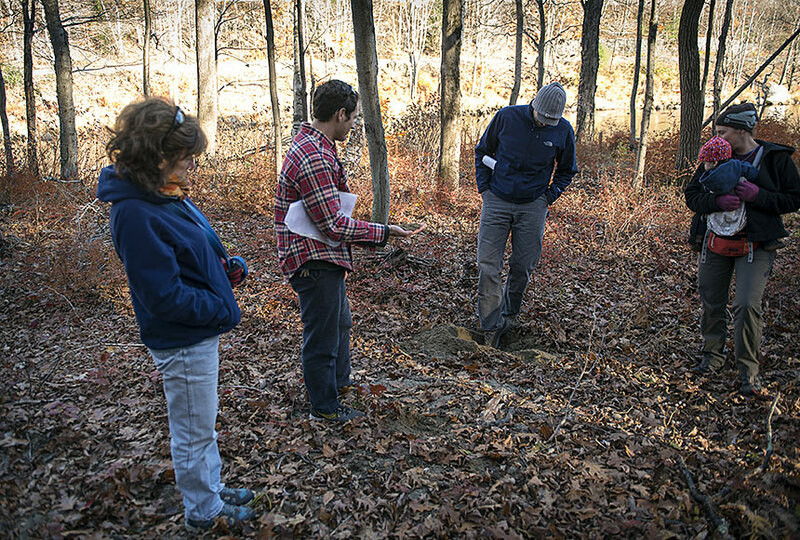 Hatch and Vogel are Principal Investigators for the project, which aims to promote "ecologically restorative flood remediation and prevention," according to Hatch. 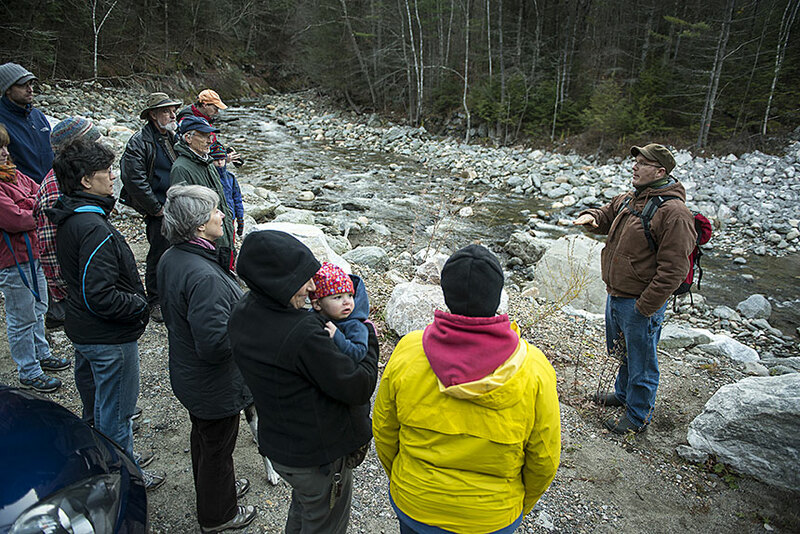 "That means," Vogel adds, "that you can do flood management in ways that actually help aquatic, riparian, watershed and floodplain ecosystems rather than harm them." 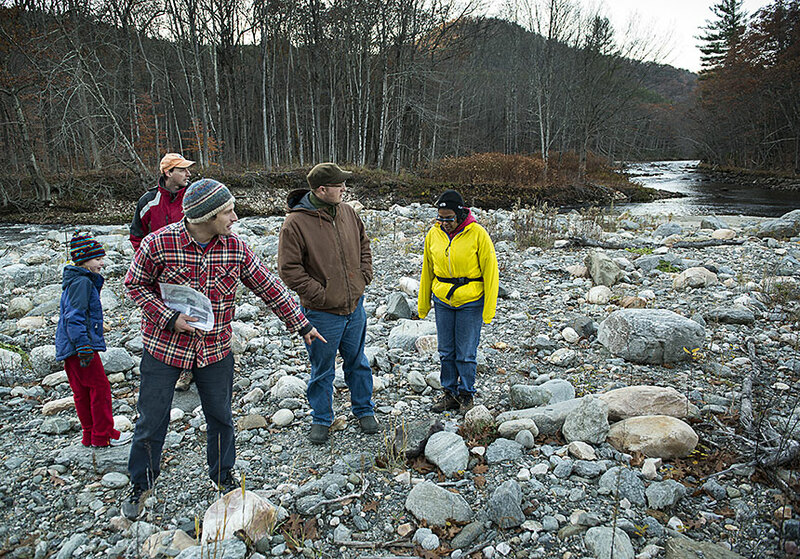 When Hurricane Irene dumped more than ten inches of rain on the already rain-soaked hills of western Massachusetts and southern Vermont in August 2011, rivers and streams behaved in seemingly unpredictable ways. Some valleys were deeply gouged by erosion, others were buried under mounds of debris washed down narrow mountain ravines, while a few areas remained almost untouched. 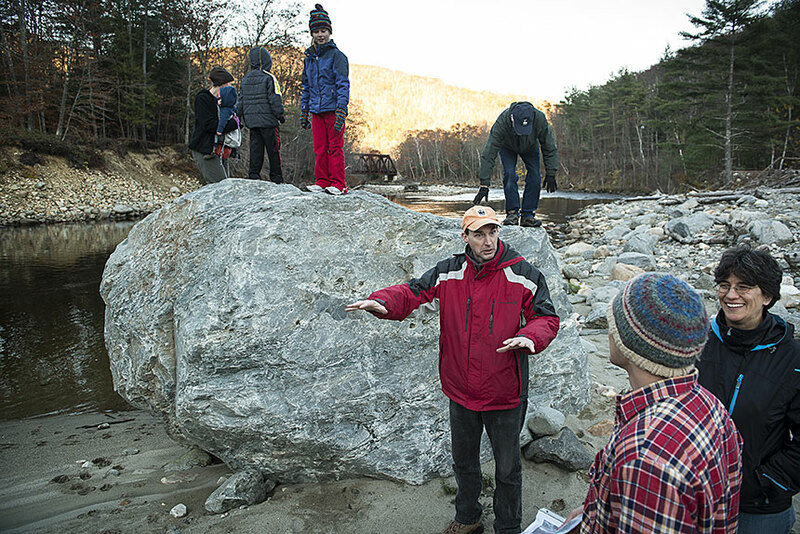 Along this stretch of the Deerfield River in Charlemont, one of the hardest-hit areas of the state, these varied – and seemingly random – effects of the flooding are still evident from one bend of the river to the next, making it a perfect laboratory for scholars like Vogel and Hatch. 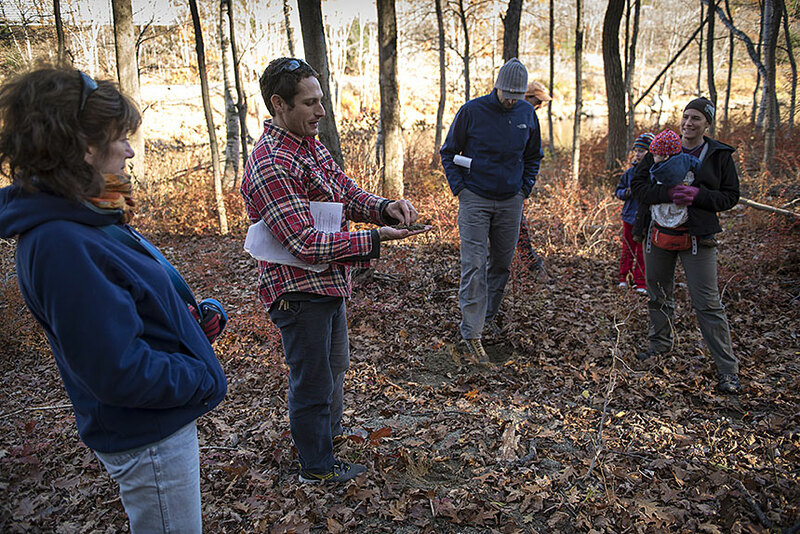 One key element of flood management is an understanding of “fluvial geomorphology,” or how the form of the river is affected by the force and volume of the water it carries, but, Vogel says, "It's absolutely crucial that people understand it in the context of ecology, human use, human policies and institutions, and flood hazards." 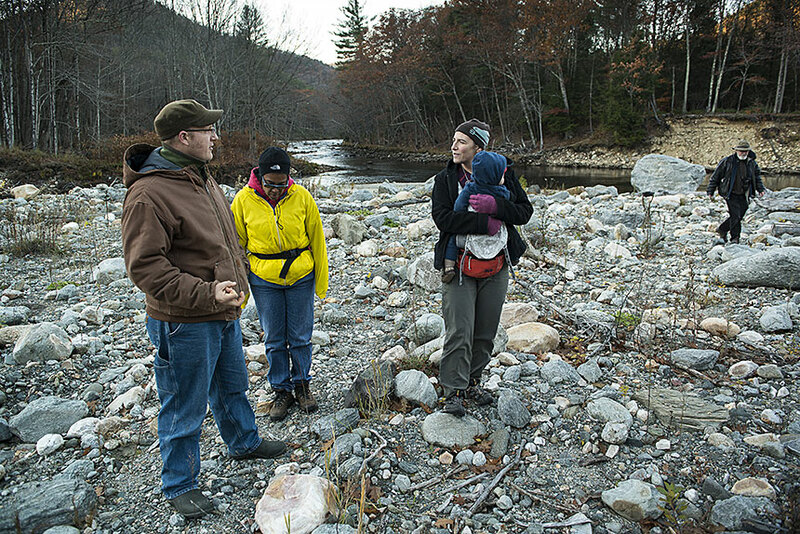 So Hatch and Vogel, collaborating with Jerry Schoen of the Water Resources Research Center at UMass, invited experts in each of these areas to participate in the river walk and to offer their knowledge and insight on the problems presented by flood damage and emergency repair work, as well as river use and management, and how these issues could be addressed in the future. "The idea for the river walk was to have a “meeting of the minds” from all of these different perspectives," Hatch says. 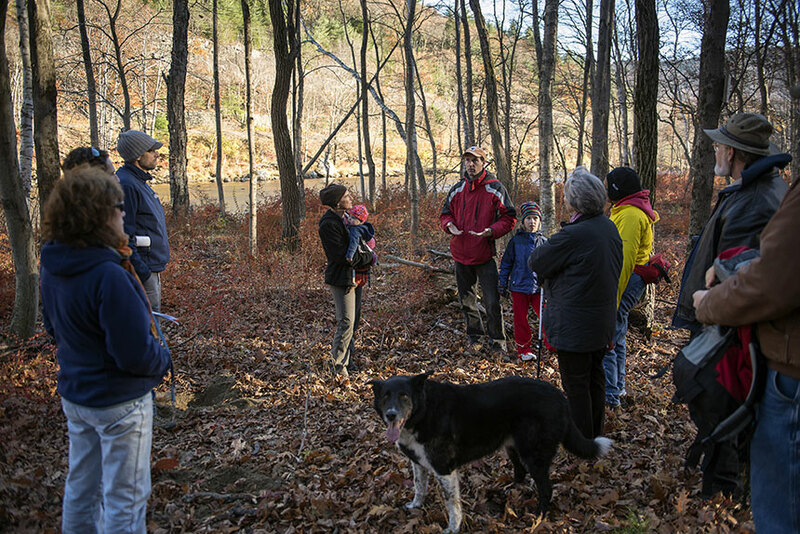 They plan to build on this initial river walk to develop an educational model that can be presented to the public in the future, starting with the Deerfield River Watershed Association's Riverfest in June 2014. 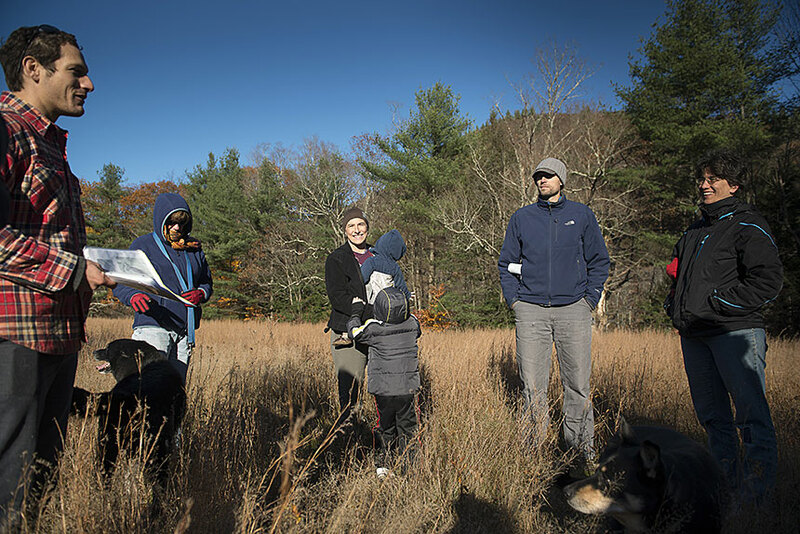 Yellen first brings the group to a wide, flat grassy field on a terraced floodplain a few hundred yards from the river, where deposited sediment shows the river's changing base levels over time. Closer to the water, Yellen pulls up a handful of sandy soil left behind by the relatively slow-moving floodwaters from Hurricane Irene and Christian Marks, a floodplain ecologist for the Nature Conservancy's Connecticut River Project, points to a large growth of invasive barberry which, he says, is not flood tolerant. 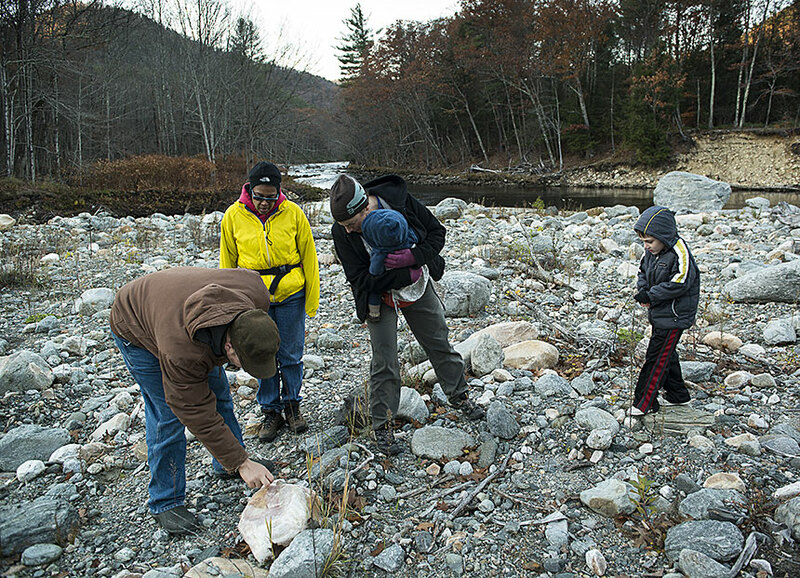 Even though huge debris dams remain lodged against trees high above the river marking the height of Irene's floodwaters, damage to the ecosystem was minimal here where the river flows at a gentler rate, upstream from major tributaries. But just a half-mile downstream, where the Deerfield meets the Cold River, the scene is far different and this is Yellen's next stop. 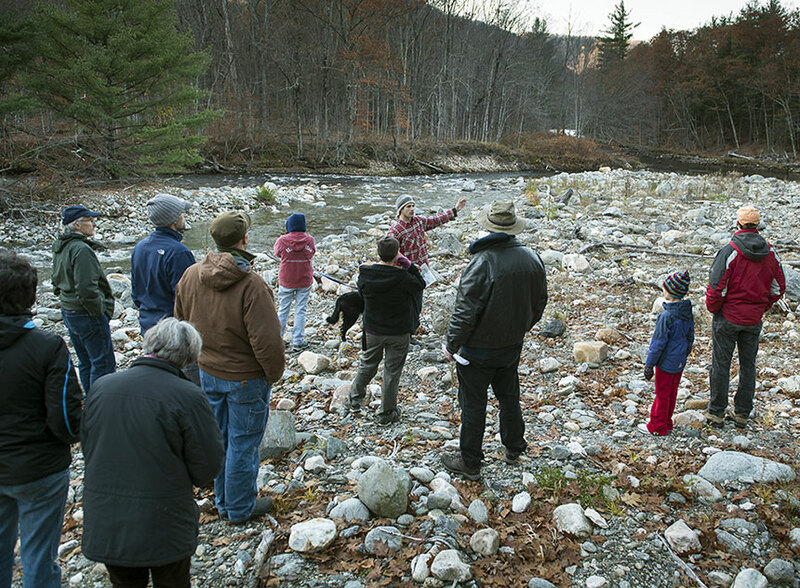 The Cold River is a fast-moving mountain stream that drains the eastern slopes of the Berkshires and during Irene it carried tons of debris down the moutainside, dumping soil, rocks and trees in its own path where the valley widens and the river's flow slows as it joins the Deerfield. So much rubble collected here that the Cold River formed a new channel around the flotsam that it left behind. "It's as if it created its own dam," Hatch remarks. 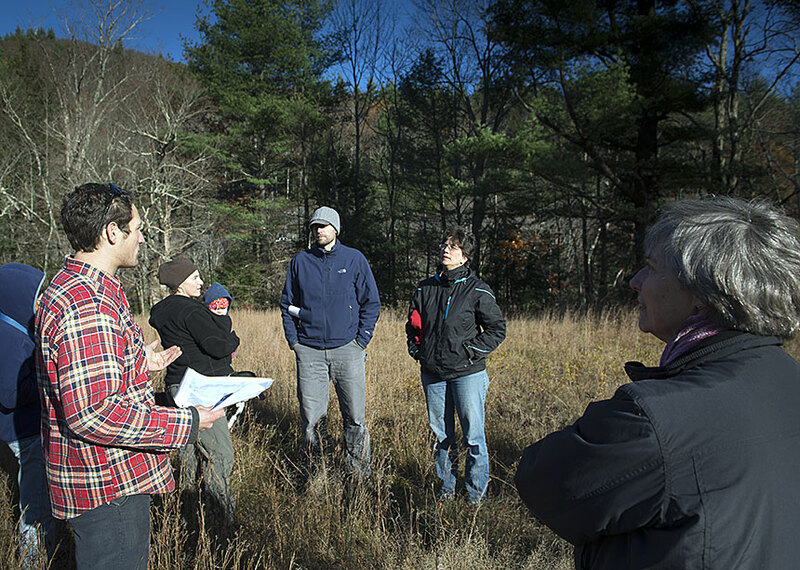 Here Yellen leads the group across a riparian landscape as barren as a strip mine. Trees eight inches in diameter have been sheared off like matchsticks by the force of the flood and vegetation has yet to take hold in the new soil hauled in by the raging river. "This wasn't here before Irene," Yellen says, pointing to a SUV-sized boulder sitting at the edge of the river. While tons of new material was deposited at this location, Yellen says that landowners just downstream lost nearly three acres of riverbank. 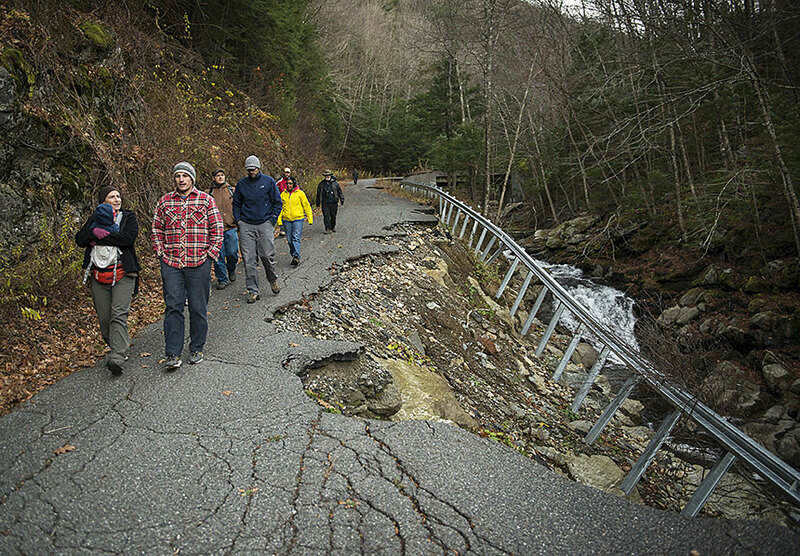 The tour's final stop is a short drive west on Route 2 - closed for months after Hurricane Irene - where smooth pavement, new culverts and fresh rip-rap are now the only evidence of the severe flood damage wrought along the Cold River, which snakes alongside the highway. 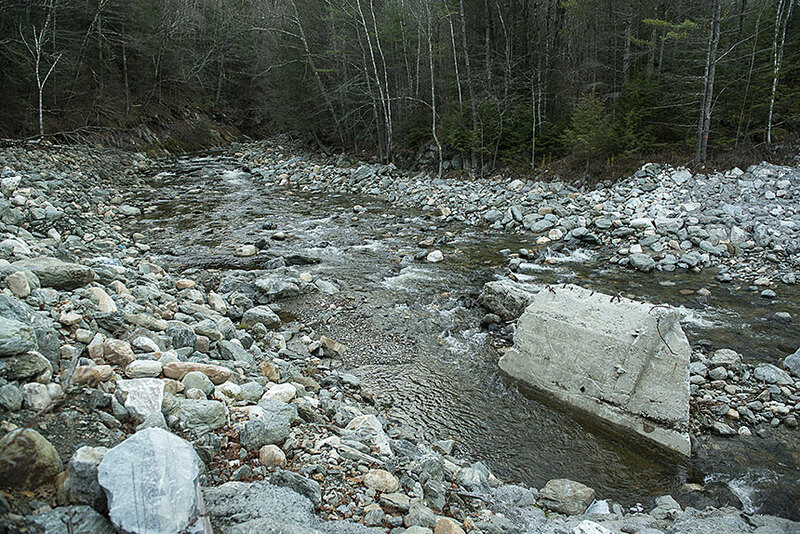 Small Black Brook enters the Cold River across from a major bridge abutment, and during Irene, the brook became a raging torrent and undercut the abutment from the side. 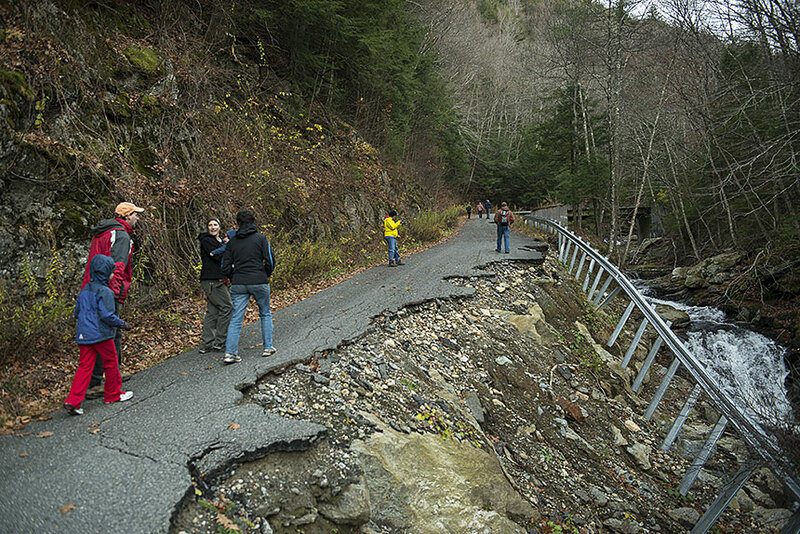 Above the road, huge swaths of bedrock have been exposed by landslides still considered "active," according to Joe Kopera, senior research fellow in the office of state geologist Steve Mabee. "They are still a sediment source," he adds. The caravan turns onto Black Brook Road, a winding town road that shares a steep and narrow rocky ravine with the small stream of the same name. 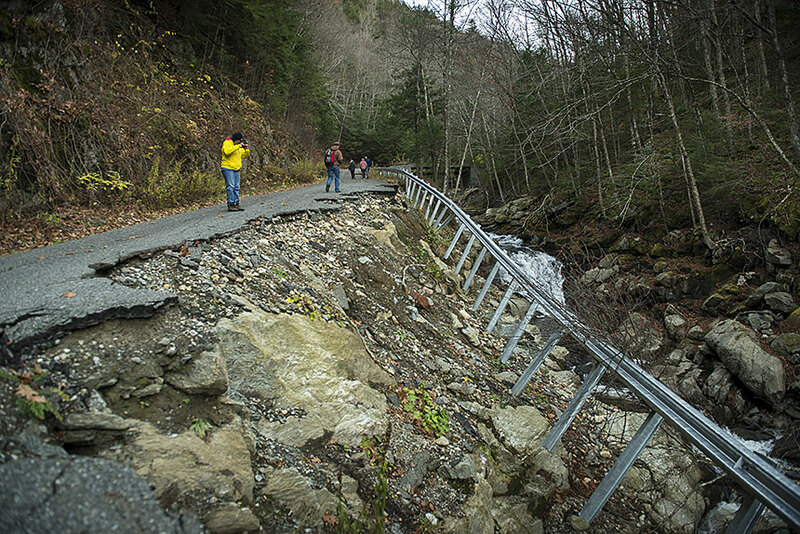 The road, deeply undercut by the flood, is still closed and barricaded and its uprooted guardrails splay wildly into the air. 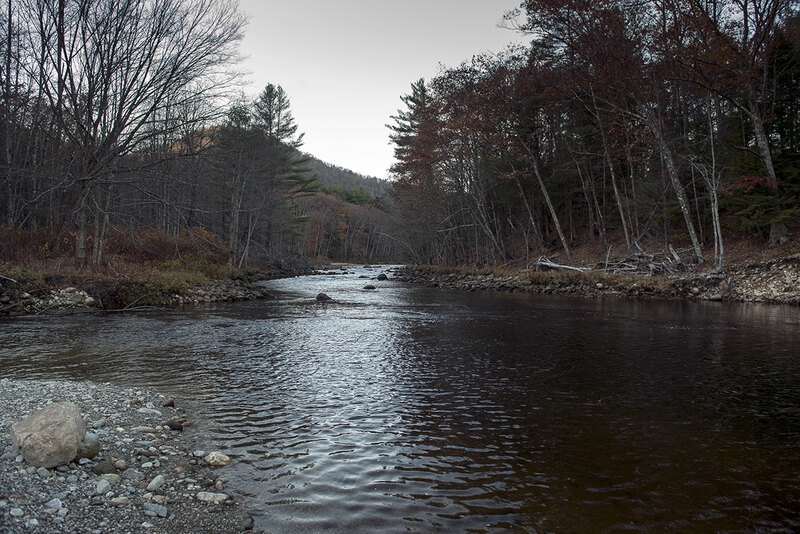 The Cold River has been heavily remediated where it meets Black Brook and flows under a new Route 2 bridge span. Kopera was on the scene here shortly after Irene and says the damage was dramatic. 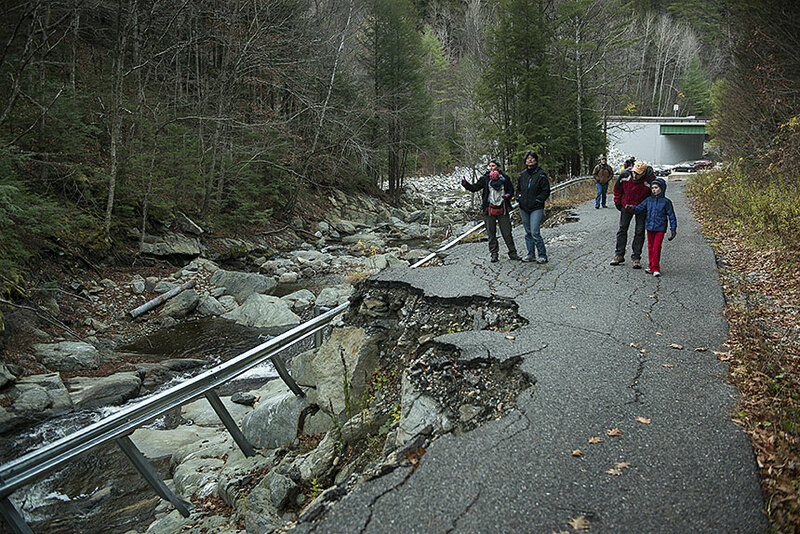 "A big chunk of the road was just gone," Kopera says. 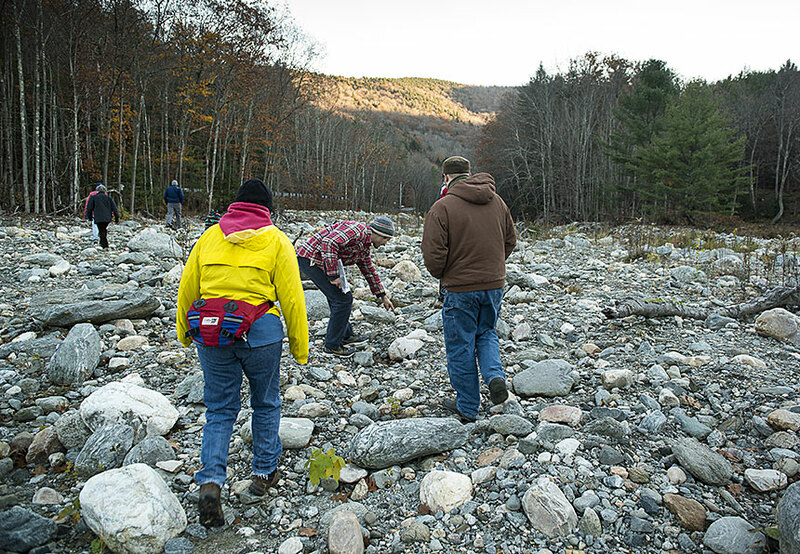 "We think Black Brook must have come barreling down and plowed right through." By now the steep river valleys are deeply shaded from the low autumn sun and the chilly air has turned cold. 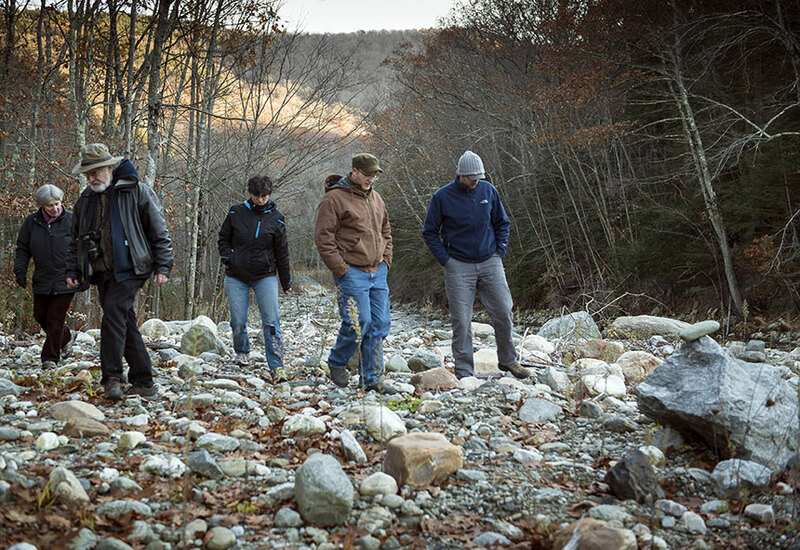 Before saying their goodbyes and thank-yous, the riverwalkers take a short stroll along Black Brook Road for a closer view of the extensive erosion, or maybe just to keep warm. Written and photographed by Ben Barnhart, BB Images.